The Chubby Chernobyl hails from Idywilde Flies out of Portland, Oregon. 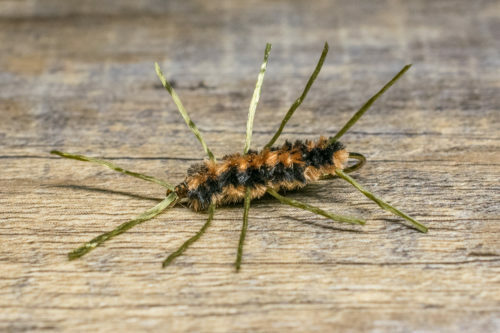 It is an off-shoot of the standard Chernobyl Ant but has a few upgrades that make this Golden stonefly well worth it. The dubbed body is very buggy and looks great from below. The addition of a poly yarn wing assists in both floatation and visibility. This pattern rides high and is practically unsinkable. 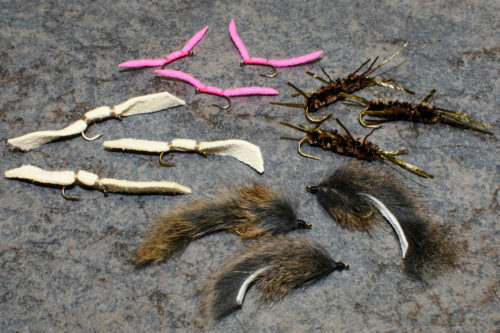 The Chubby Chernobyl is a great attractor pattern that can be used to “match the hatch” to imitate Golden Stoneflies, hoppers or Salmon flies depending on size, shape, and color. 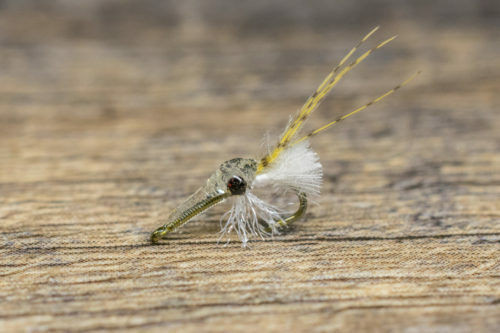 It is one of the most popular flies in the industry. The Chubby Chernobyl fishes best throughout the summer months. To increase success rates, methodically cover water and show your fly to the most fish as possible. We typically dead-drift the Chubby Chernoybl using a 9-foot leader terminating in 4X. There could not be a better option for a hopper-dropper fly due to the floatation, durability and visibility aspects of the Chubby Chernoybl!